What are the socio-political and economic resources that shape flamenco as a globalized and commercialized form? What creative and cultural frameworks do artists currently utilize to resist social and economic limitations? At La Casa Hispánica, join us for a special panel discussion with guest artists speakers starting at 4:30 p.m. A dinner and reception at 6 p.m. will follow! Guest speakers include Yuko Aoyama, Theresa Goldbach, and Niurca Márquez. This event is a part of the symposium, "Breaking Boundaries in Flamenco." 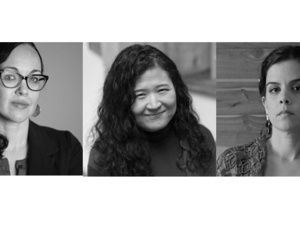 Guest speakers include Theresa Goldbach, Yuko Aoyama, and Niurca Márquez.